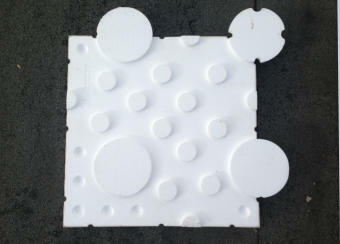 A hard white insulating plastic roof tile. Mr. Fred Bol mentions the heat and cold rolling roof elements that he markets under the Roofflex brand with his company. "For 45 euros per square meter at work", the entrepreneur from The Netherlands calculates. The Roofflex creates a cavity layer on flat and slightly sloping roofs. "Strong enough to allow a mechanic to run,"
The tiles can easily be laid on the roof. The system joins the elements and they can be installed without special tools. The wind can get under it, but it's flying out of the open recesses. With a low load of the underlying roof as a consequence. 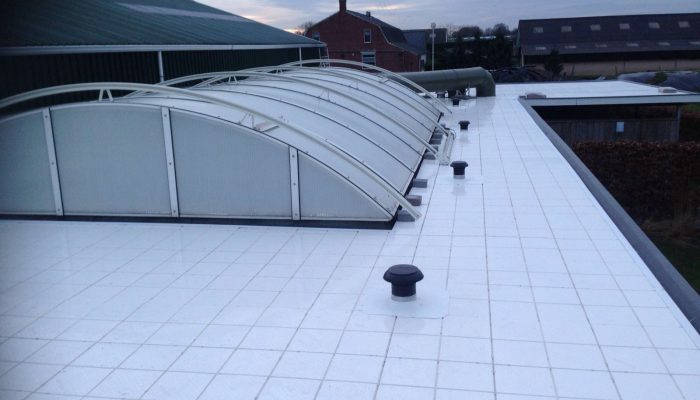 Because Roofflex covers the roof extra, less heat is also lost through the roof. Either way: it saves energy. Conversely, the white tiles reflect almost all solar heat so that the space warms up less during the summer. And that again saves cooling energy. Our vision also benefits society as a whole from its product. Because on a large scale, the tiles would help to prevent urban warming and, as a consequence, also reduce the spread of smog and fine dust. "And because the tiles cover the roof, it also has less weather and wind so it lasts longer". 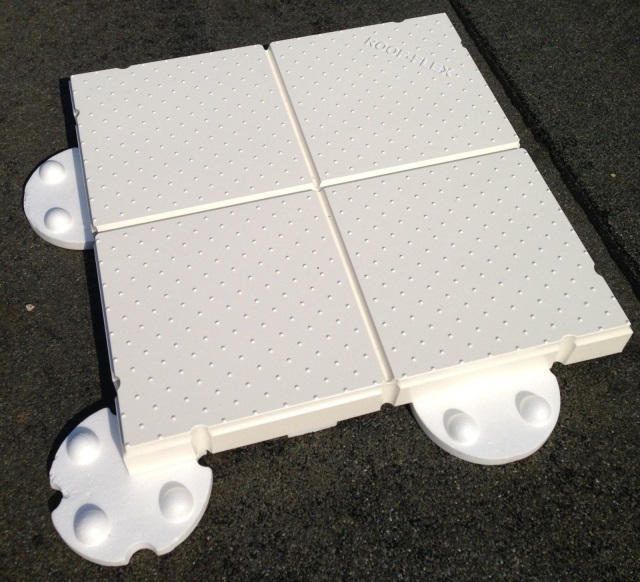 Roofflex consists of hard foam with a cover from EPS-PVC plastic that can be reused after the expiration of its technical life. The weight is only 3 kilos per square meter. The system consists of four-tone round brackets on which the tiles are made. For finishing edges, the supplier offers special fitting pieces. The Galaxy Corporation in India is also interested in the product that they are producing in large quantities and entering the Indian market. An agreement has been signed with this. In addition, several projects in the Netherlands are provided with the element. Page created at 2019-04-21 18:13:23, Patent Auction Time.